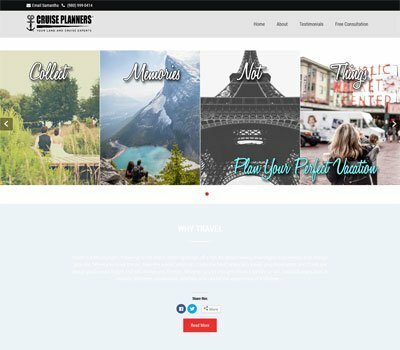 Prevalent is a clean, professional and beautiful WordPress theme for your travel agency or tour website. It is mainly designed with tourism professionals in mind and focus on offering various travel, adventure and tour packages. This theme can be used for business, corporate, hotels, personal, blog, photography, portfolio and any type of projects. 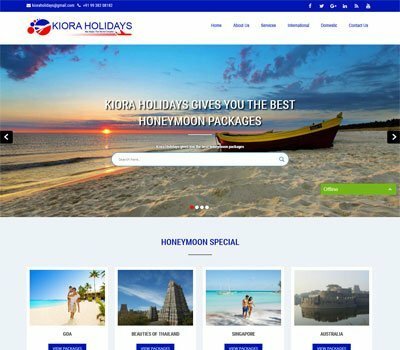 This travel WordPress theme contains various features which provide a elegant website for travel agencies, tour operators, hotels and travel package companies. 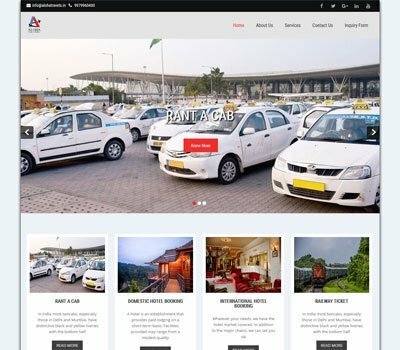 If you want a really sophisticated travel oriented website, Prevalent WordPress theme will be a treat for you as well as your visitors. Prevalent is a highly customizable theme with a modern and bold design. 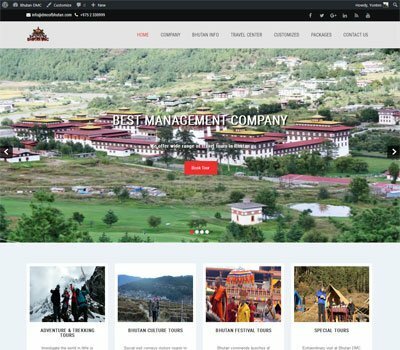 The responsive theme comes with various features including a great slider, travel destination, tour packages, latest traveling blog, photo gallery, fancybox images, animated effects, shortcodes, social media support, contact form and WooCommerce integration. The inbuilt full width Nivo slider is a great way to display beautiful travel image slideshows. The four column services section is used to list various travel services provided by travel agencies. 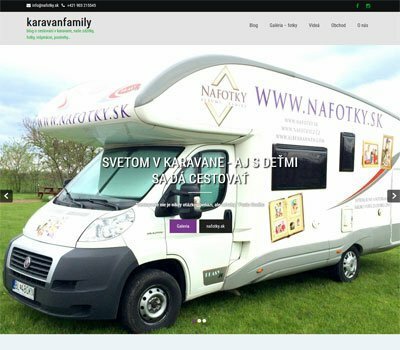 The welcome section with parallax scrolling is for displaying information about your travel company. 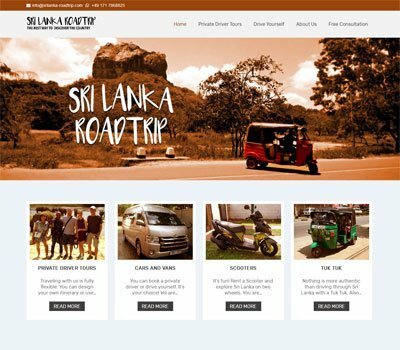 A destinations list relies on a fullscreen image and smooth parallax scrolling to wow visitors and to attract them to travel destination. In special offers section you can list various tour packages. You can create stunning photo galleries to show your different holiday destinations. 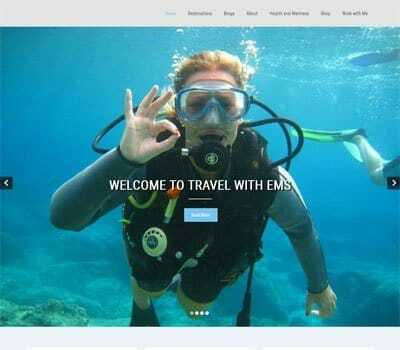 The theme comes with plenty of customizable options including the color scheme, Google fonts, background image, logo, social media icons, parallax scrolling, widgets, page templates. This theme is translations ready and support multiple languages. This theme comes with flexible layout with responsive ready which looks great on different screen sizes. It is compatible with many popular WordPress plugins including WooCommerce, NextGen gallery, Contact Form 7. WooCommerce support assists in selling your own items and create your online store. This theme is also cross browser compatible and tested with latest popular browsers. Pls explain what is the difference between free and premium versions of Prevalent theme. The Prevalent is a free WordPress theme build in WordPress customizer whereas the Prevalent PRO theme is built in more user friendly Theme Options panel. The PRO version contains lots of sections in home page for creating beautiful and professional website. 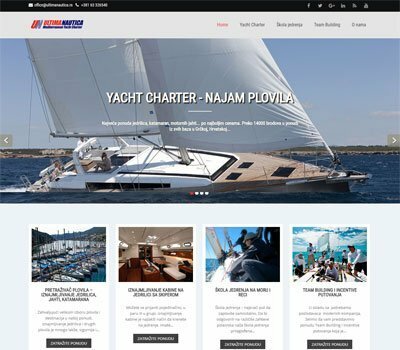 The PRO theme contains top header section including social media icons and contact details, box and full width site layout option, animation effects and stick header option. Prevalent PRO is professional looking, well coded with modern designs and has powerful features. This theme comes with several google fonts. You can easily select from one of the many google fonts to look site great. The font color is also manageable for each sections. You can change all the slider images, background images from Theme Options panel. I spent a lot of time looking for a theme that was contemporary, flexible and easy to use and I have found it with Prevalent PRO..definitely worth paying for the full PRO version. And their support is fast and very helpful. The best theme I have purchased so far and good customer support. 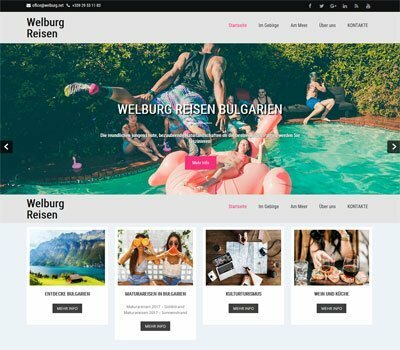 I highly recommend this theme to all of you for multipurpose website. This is amazing. Great customer support. They are quick to help you out! I highly recommend this theme. Grace Themes are amazing. They respond quickly and I can’t say enough of the great things that they have helped me with. They are truly AWESOME, I will highly recommend them. 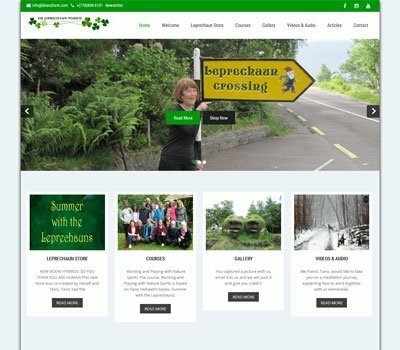 Its my first wordpress theme that I work with. So I carefully find my way around, I also want thank the team of Grace Themes for there quick and very good help. Nice theme. I needed a change in appearance and the authors immediately helped me so I definitely recommend it further. We’ve been extremely happy with the Prevalent Pro theme, it was difficult to work through at first since we were migrating an existing site over, but the look, functionality and performance is better than we expected. Plus, where we hit snags the Support team has been amazingly fast and responsive with questions and resolution. Amazing customer support! I had troubles with one of the themes, and they took their time to help me tweak it so that I could get the outcome I was hoping for. 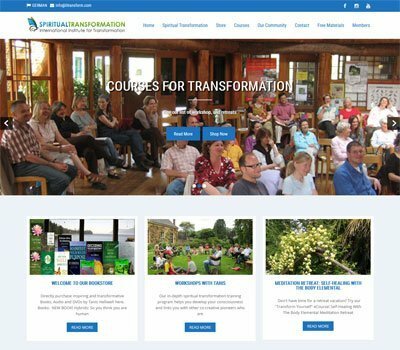 The website is anzaavechurch.org, and we are thankful for them helping us! I am really impress with Prevalent pro version theme and its worth of paying/buying pro rather using free one. Over all I am really proud of customer support that team or individual renders for any enquiries. If any body wish to develop your wordpress website and wish to use theme i recommend you to go for grace theme. Awesome theme and great support. Needed to know more css but they help you a lot. Buy it and you will have a perfect site! Re: Prevalent – Really nice professional theme which is easy to configuration to customise. Also very quick and helpful support available to. Very systematic themes and are easy to modify. Your support team is very responsive. Great theme! Lots of design options and easy to modify, plus the author is always on hand to help out too! Very pleased! I can totally recommend this theme. It’s easy to use and looks very good! Big thanks to the great Grace Themes Support, you do a good job! Thumbs up! 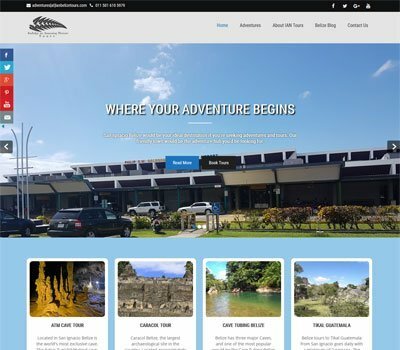 This is a great Theme for travel and tour operations, can be customized to the details and it works well in any platform. Grace’s customer service is fantastic. Great theme! It is easy to customize and looks elegant. The support for Prevalent Pro is really good, quick to respond and very helpful. I love Prevalent theme!! its so easy to configuration to customise and the support is really so quickly.. Thank you Grace for your help and support!! The pro version os versatile, easy to use and really looks good. I don’t give it 5 stars because I am not able to a load it on word press however the support has been amazing and help me out both times. I have work with computers, programs and website long enough to know nothing will ever be perfect, but the tech support team had been amazing. I purchased this prevalent pro WordPress theme for a client and so far it’s been working great. Very fast theme and entails everything they wanted and looks great on mobile. The support is just super awesome, I get response fast and solutions even faster. I surely recommend this theme and the company too. I love it. The best support ever. Quickest response to all my requirements and efficient solutions. All the best recommendations! The theme is wonderful. I’m a bad and aged newbie in WordPress, with more problems than the common users, but, so far, the support has been precious, helping me to solve all my small problems in the shortest time. I surely recommend Grace themes. Easy customization, very professional looking site, and support responds quickly! Very happy with this purchase, and wouldn’t hesitate to recommend Grace Themes.